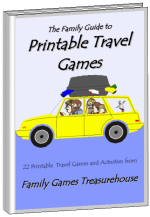 Authors Card Game is an enjoyable game for children and adults of all ages. It was originally played with specially marked cards bearing the names and faces of famous writers (hence the name). 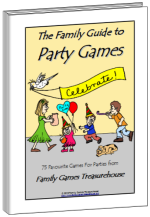 A simpler version of the game for younger children is Go Fish. 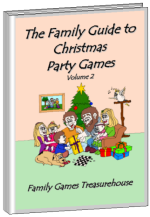 Aim: To win the most books (sets of four cards of the same rank). 1. The deck is shuffled and placed face down in the middle of the table. Players take turns around the table, turning over a card. The first player to turn over an Ace becomes the dealer. 2. The dealer puts all the cards back in the deck and shuffles them well, before they are dealt clockwise one at a time face down. It does not matter if some players have more cards than other players. 3. Player One (to the left of the dealer) asks any player (by name) for a specific card. For example, he may say, "Emily, do you have the Seven of Clubs?" Player One must already have at least one card of that rank in his hand (a Seven) and cannot ask for a card he already owns. 4. If the chosen player has the requested card, she must hand it face up to Player One. Player One can then ask any player (including the same player again) for another specific card. This continues until a chosen player does not have the required card, ending player One's turn. The player to the left of Player One then has their turn to ask for any card, and so on. 5. The object of the game is to form 'books' of four cards of the same rank (for example, the four Queens). 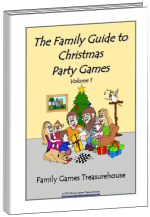 When a player forms a book, it is placed face up on the table in front of the player. At the end of Authors card game, the player with the most books wins the game. Hint: Listen to other players' requests. If you own two or three cards of that rank, you can ask them for your missing card(s) to form a book. 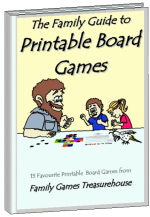 Variation: If you want to play Authors Card Game with a group of older and younger players, you may allow the younger children to simply ask for ranks while older players must ask for specific cards. For example a young child would say, "Caleb, do you have any Threes?" Caleb would then hand over all the Threes in his hand. (Alternatively, he would just hand over one of his Threes if he had more than one. Establish this rule firmly before you play.) This variation makes it easier for younger children to compete.